Electrosensitivity and Mercury Fillings – Are They Compatible? If you are like most people then you have probably never given a second thought to the metal fillings you have in your mouth. But in fact metal amalgams are bad news. According to the World Health Organization (WHO Report 118) and Health Canada they are the primary source of human exposure to mercury for the general population. And yet they have been used by dentists for over 100 years and no clinical studies have ever been carried out. 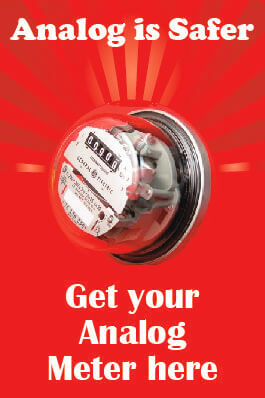 If you are electrically sensitive they can represent a particular problem. Metal fillings introduce a toxic metal into your bloodstream. Since metal conducts electricity, these feelings can act as an antenna and put further stress on your body. We take in metals all the time, via our food, the air we breathe, our toxic environment so you have to look at reducing your exposure all round if you want to see improvements in your health.But having metal fillings put’s aburden on your body 24/7. If you are experiencing symptoms of ES then it’s well worth considering having your fillings removed. You have to weigh up the pro’s and the cons. 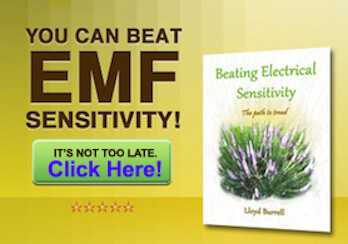 Ultimately if you are electrosensitive it boils down to how great your sensitivity is. If your sensitivity is extreme then you have probably got little to loose. Let me be clear, I am against amalgam dental fillings, if I had known before having the fillings in of the dangers then I would definitely chosen another option. But now I have got them I have decided to keep them…. By way of a presentation of this issue and to enable you to weigh up the pro’s and cons, I would like to share with you the following video. Its of a Costa Mesa City Council meeting debating on whether to instigate a ban on mercury fillings. “Mercury is an incredibly toxic substance, and it’s in dental amalgams, and it’s also getting into our water system and a lot of other things. There’s a lot more information you’re going to hear in the next few minutes from the group. This is way overdue in the United States, and especially in California. It’s something Europe and some other countries are getting much further ahead of than we are, and it’s time we start talking about it and bringing it forward. To the Council, I did hand out a Zogby polling – the results of Zogby Pilling, and I just wanted to point out two things in it: Number 47, that 94% of Californians believe that their dentists should be required to inform them of the various types of mercury and non-mercury fillings available before filling a cavity; and the following one, “Which would you be more likely to choose, given the option – higher cost fillings that contain no mercury, or lower cost fillings that are about 50% mercury?” In 80% of California would be with the higher cost and no mercury. As just stated, there’s mercury up to 50% in what we call silver fillings, which is kind of a misnomer, because obviously, if they’re 50% mercury and only 25% silver, then they’re mercury fillings. But, with that, I would like to invite the folks from Californians For A Green Dentistry to give a presentation on my behalf. Thank you. Anita Gonzalez-Tibau: Thank you for all your patience to get through all of these agendized items. Good evening, esteemed members of the Costa Mesa City Council. My name is Anita Gonzalez-Tibau, and I am the director of Californians For A Green Dentistry. I want to thank you for giving us the opportunity to speak with you tonight about a growing environmental concern in our community. The people here, and the hundreds who signed the petition to support the Monahan Resolution. Dental amalgam, which contains about 50% mercury, is a colossal source of unnecessary mercury pollution in our communities. It reaches our environment by numerous pathways – from dental offices, from household toilets, from crematoria, and from landfills. There is no technology to control it once it leaves the dental office, and the vast majority is walking out of the dental offices in the mouths of humans. Entire countries, as Councilman Monahan indicated earlier, in Europe, have already recognized the environmental devastation wreaked by mercury, and they have banned the product and switched to numerous non-mercury alternatives in order to protect their water, air, and land. It’s time we started doing our part to protect the environment, and to protect our own health from the dangers of environmental toxins such as dental mercury. Once in the environment, dental mercury is known to convert to an even more toxic form – methyl mercury. And, the environmental health effects are well documented. Proposition 65 already tells us that dental amalgam, used in many dental fillings, causes exposure to mercury, a chemical known to the state of California to cause birth defects and other reproductive harm. And just recently, the EPA again confirmed that mercury leaches into the environment from dental offices, and that can cause neurological problems, especially in the developing nervous systems of unborn babies and children. And that is why Californians For Green Dentistry is taking action to protect our children and our community now…..
Charlie Brown: Amalgam is a primitive, pre-Civil War product. A colossal pollutant. Dentistry, unfortunately, is the number two purchaser of mercury in this country, despite the fact that the decline that half the dentists don’t use it any more. The Sierra Club, and a number of other groups put together a report showing that half of the mercury in residence, in products, is in our mouths. Let’s not add to the problem because all that’s going to leave. The mercury currently being used gets in the water. Dental mercury is the largest contributor of mercury into the waste water. That means that the rate payers of Costa Mesa are paying for the cleanup. There’s a cost-shifting among the dentists still using amalgam so that your rate payers and taxpayers, here’s a good place to work. This whole waste, the mercury from our bodies, is a major mercury contributor. Amalgam is not the lowest cost material on the small fillings, resin costs a little less on the small fillings according to the Bureau of Labor Statistics. But, amalgam on cost, the actual cost, the total cost, including the cost-shifting to the taxpayers, the parents who pay health bills, amalgam is the highest cost material going. 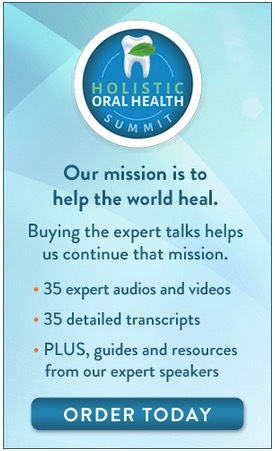 Why not shift, then, to mercury-free dentistry. Several Scandinavian countries have banned mercury amalgam, as Councilman Monahan pointed out. So the public that supports that ban was a different constituency, not Californians, that supported a ban seven to one. I think, as a lawyer, dentistry is a kind of Achilles Heel. We lawyers have our problems, too, and one I noticed years ago was victims’ rights. Victims were shut out of the process by the prosecutors and defense lawyers. It took public opinion, it took the Mothers Against Drunk Driving, and a whole movement to basically force the victims into the court rooms over the objections of the lawyers – that was our mistake.The criminal justice system is much better. Well, dentistry is really just behind on this issue. This is the one issue they need to catch up with, and need a little push, just like we lawyers needed a push to include the victims. Insurance is a problem, there’s no question about it, but several years ago, the California Dental Association and our group, we don’t always agree, worked together to end the system of amalgam only for the poor people in the MediCal and DentiCal system. We can do the same with insurance with the Monahan Resolution. It’s a powerful statement to the insurance industry. Send it to the insurance commissioner of California as well. 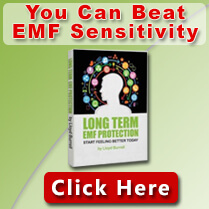 I don’t believe electrosensitivity and mercury amalgams are compatible. But make sure removal is the right option for you and make sure you go about it in the right way. Excellent article Lloyd! Mercury in the body migrates toward the highest electrical current potentials, just like the metallization process’s that take place in electronics circuit components. Larger meridians and ‘Chi’ junctions generally will attract metals deposits. The brain stem and several areas of the limbic system are the first areas affected. If you have mercury amalgams, get rid of them. Mercury is one of the most biologically toxic elements on the periodic table. As Lloyd suggests, be SURE that you hire a dental person who is knowledgeable regarding the extraction and disposal process. Mercury is a biohazard!!! It is also important to eat high quality foods that alkalize blood Ph and reduce acid conditions in the stomach. If heavy metals are partly responsible for people becoming electrically sensitive, and they may very well be, the mechanism is not via their build-up acting as “antennas” for the following reason: all mammals have billions of times more electrically conductive Iron in their bodies (e.g. in hemoglobin), than they have heavy metals, even when the heavy metal burden is high. The actual mechanism is more indirect, and is probably a biochemical one – the same mechanism that makes heavy metals toxic: for example, about 1/2 of the enzymes in the body are metallo-enzymes, requiring an atom of Zinc or other metal at their active site to do their job. Mercury kicks the natural metal off the site and binds much more tightly, inactivating the enzyme. 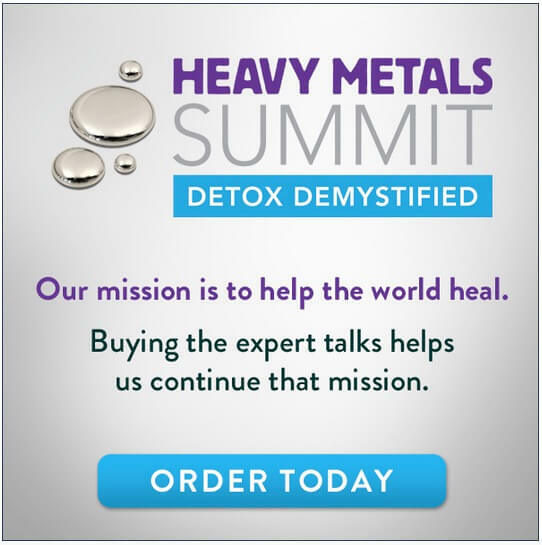 The heavy metals are bullies, not antennas. Hello Richard Conrad: Yes. Your closing statement is quite astute in that it recognizes binding site blockage created by the stronger electron charge of mercury versus other bio-metallic agents. The same phenomena could be said for lead or silver elementals – which are NOT needed and actually hazardous to the human body. One of the great deceptions occurring in the medical sciences, is the recommendation of “nano” Colloidal Silver preparations for anti-infective modalities. Just as lead, cadmium, and mercury; the introduction of these metals into the cellular processes is dangerous and extremely foolish. The quote below is excerpted from “The Biology of ES” as Lloyd had recommended in response to your initial post. Please notice that Mr. Goldsworthy is using the term “electromagnetically induced” (a magnetic effect phenomena) rather than the common and oft repeated “electromagnetic radiation” which is an electron charge effect. Both are present in the case of electromagnetic field affects on the body, but as frequency is reduced in bandwidth, magnetic “induction” becomes more prominent. Please do refer back to this site and offer comment, as credentialed individuals need to express opinion in this very important time in human history. Thank you for your post. I have electrical sensitivities myself, and know it is very real. But many imaginary hypotheses about mechanism that are circulated around as being actual mechanisms damage our cause, because they weaken our credibility, especially if they conflict with logic. Logic such as the iron already in our bodies is far more conductive and potentially “antenna-like” than any heavy metal load, and this includes not only heme iron in our red blood cells, but the microwave absorbing magnetite iron crystals in most of our tissues, including the brain. And it is possible that no antenna mechanisms are relevant here, not even due to iron. In response to your comment to me, I just spent some time researching Omura and Dale on-line. Omura is an MD and his quote is just an opinion, not based on any science. Dale is a Naturopath, and her statement is also pure opinion, not based on scientific research. They have no references at all to back up their statements. Heavy metals may well predispose to EHS, but most probably not through a simplistic conductive “antenna” mechanism. I know a number of people who have low heavy metal burden, and yet are very EHS, and there are millions with a very high heavy metal burden and no overt EHS. Martin Blank has definitive data in support of his findings. Please search his name out for further information in regards to the above video presentation. I’ve also researched the magnetite issue in depth. You are correct. Magnetite crystals are found in many life forms, and the polar effects prevail. Please refer to the excerpts as represented below. 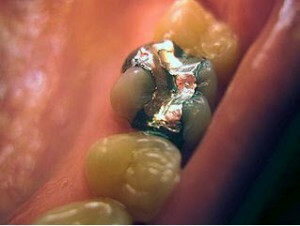 I had developed sensitivity to aluminum 21 years ago and removed amalgam fillings and most other sources of aluminum. 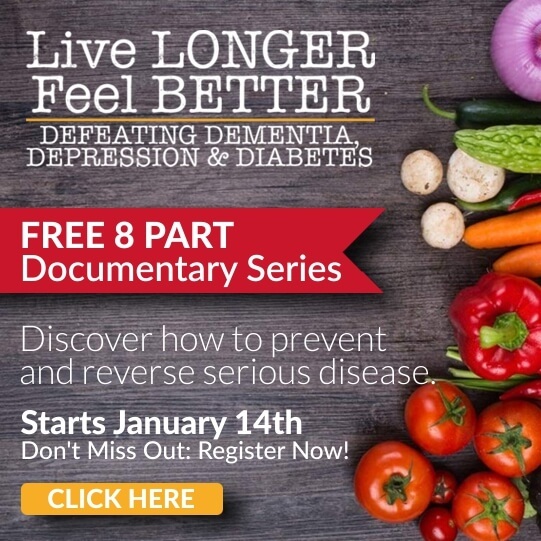 2 years ago i developed ehs and because the dr was aware if my hx of sensitivity to mercury and aluminum and silver he immediately connected my new symptoms to ehs. It seems there is a correlation. I was looking for answers to my apparent sensitivity to electronic devices. 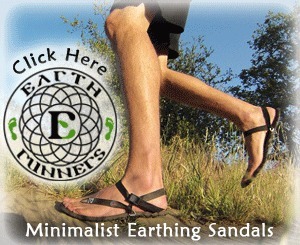 Particularly ones that send electric current to increase circulation or even simply to reduce wrinkles. I have many silver fillings in my molars and didn’t give it much thought except that every time I try a device that emits electrical charges I have such acute symptoms I have to return it. For example, I purchased a device that shoots electrical impulses through the feet up the legs in order to improve circulation. Upon trying this machine, even at the lowest frequency, I felt a throbbing pain in my jaws where my fillings are located. Not only the jaw pain but nausea and disorientation and a metal taste in my mouth. I returned the device. I would have thought nothimy of it except I tried another device that targets wrinkles, a wand instrument. On the lowest setting, I tried it 3 separate times and every time I experienced, immediate nausea, headaches and felt like I may even have seizures. These side effects were not common but some were having them and no one was addressing the symptom or had any knowledge of the side effect. I also am suffering from joint pain and will be seeing a Rheumatologist in August. In my case I do believe there is a relationship between the silver fillings and my sensitivity to electronic impulses.